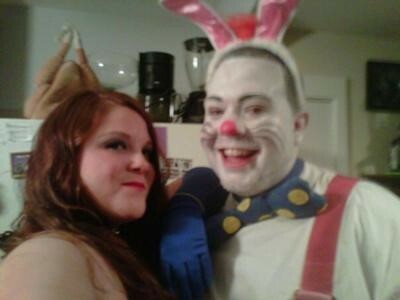 We went as Jessica rabbit and Roger rabbit for Halloween . Everyone loved it and we have a awesome time putting them together. I had to dye the gloves purple and the overalls red and the overalls were a little too tight on him so I cut the sides and sewed red felt on the sides to make it bigger. Also took some cotton stuffing, colored it orange and hot glued it between the ear for hair. 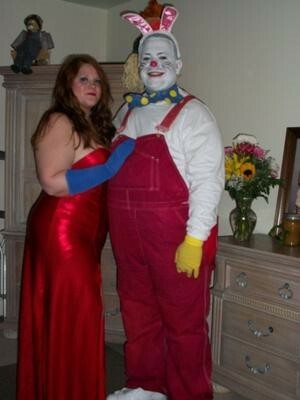 I took blue and yellow felt and made the bow tie, stuffed that with cotton and put Velcro to stay on his neck. 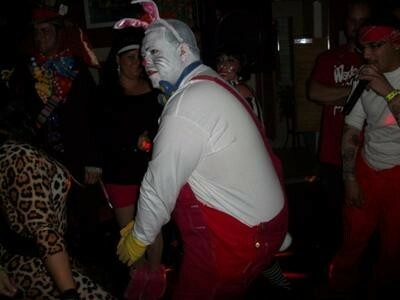 He also had a bunny tail! 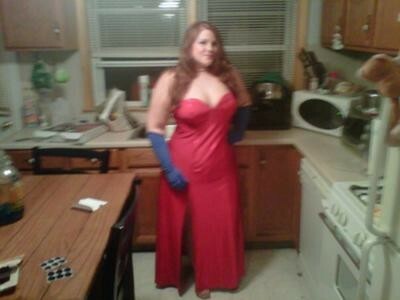 Where did you get your red dress? ?